Properties, now days are important to have in life and act as a part of changes in social lifestyle. Living of standard has increased. Nowadays, people are more attracted towards residential apartment with amenities. 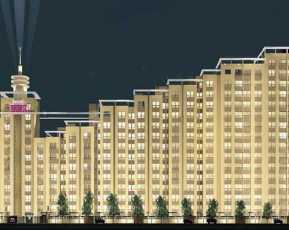 Property in Lucknow, naming Antriksh Abril Green is becoming famous for its new project of 2 BHK and 3 BHK residential apartments by Antriksh Developer. The price starts from 33.99 lakhs. Having areas between 1000 -1535 sq. ft. Its possession will start from 1st Dec 2021. 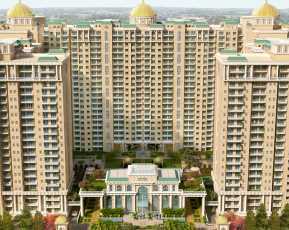 It offers 2 BHK, 2 BHK+ study and 3 BHK. The key features that it attracts are air condition Rooms Guest rooms where guest can relax, earthquake resistance building which will be always save and grand entrance lobby with waiting room. Apart from above, it has got famous for high tech control Room and ample natural lights and ventilation which makes others make feel comfortable. 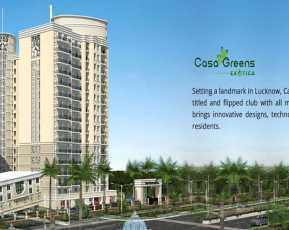 The best parts of these apartments are that this building is built using the concept of Green building which means that both structure and the application of processes that are environmentally responsible through out a building life cycle, from planning to design. The Antriksh Abril Green Price are quiet reasonable according to its location as vrindavan yojna is the project with known and famous location for localities. 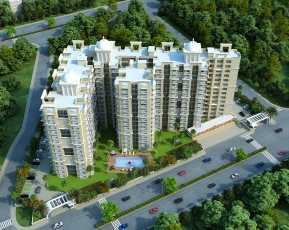 The 2 BHK with size 1000 and price 3399 /SQ.FT forming 33.99 Lakhs price in total. The 2 BHK + Study with size 1100 and 3399 /SQ.FT forming 37.38 Lakhs price in total. 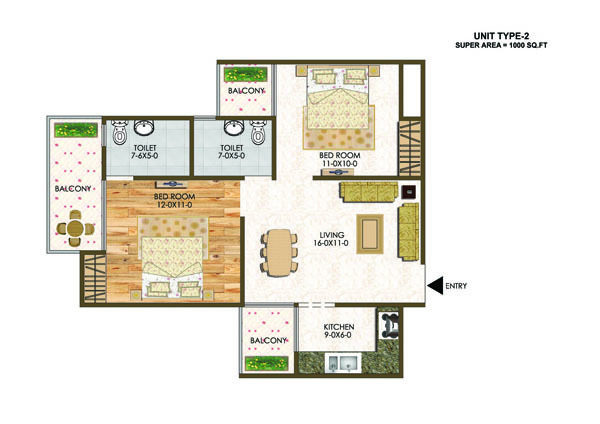 The 3 BHK with size 1410 and 3399 /SQ.FT forming 47.92 Lakhs price in total. 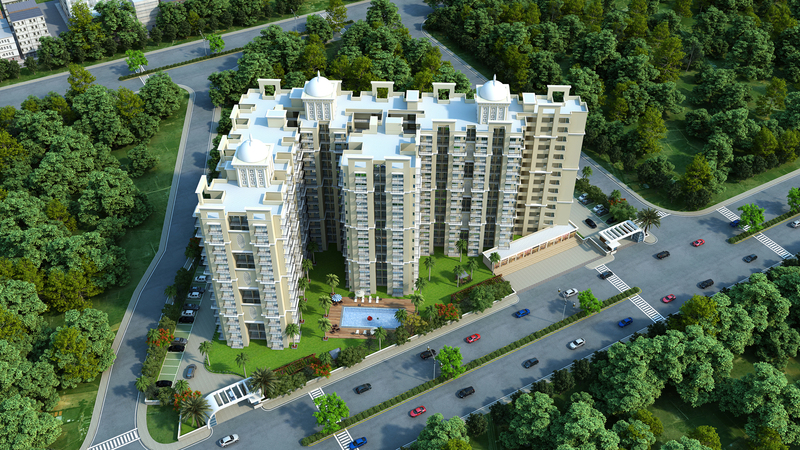 The 3 BHK with size 1535 and 3399 /SQ.FT forming 52.17 Lakhs price in total. The client has to pay 10% amount in advance for the possession of its purchase Apartment. Residential apartments without amenities, this is what we can’t think about. This is a compulsion for the property developer to provide with. The amenities that these Residential Apartments in Lucknow has Club House that organizes the Get-togethers, peaceful Meditation Center, energetic Sports Facility, Kids Play Area for the society children to play with, clean with amazing ambience Swimming Pool, Gym for the fitness lovers, Landscape Garden/Park for gossips and time pass, Open Space foe better outlook, Intercom for minimizing the communication gap as much as possible, Firefighting Equipment to save people in society, Power Backup to nonstop lights, Rain Water Harvesting for the Landscape Garden/Park and any others, Wi-Fi Connectivity to enjoy the up to date internet, spacious car parking, Multipurpose Hall for family function, Restaurant with easy n nearby access, video security for secure from danger, and the best part is Sewage Treatment Plant through which contaminants from wastewater are removed. These apartments are high in possession as they provide so many nearby restaurants, gym, hospitals, banks, schools, shopping mall, ATM, University and many more. The web page for the Antriksh Abril Green is easily accessible and reachable to satisfy its clients’ needs, and solve problems of its client efficiently with the 100% focus on quality customer satisfaction.